Only release by this interesting and vigorous four piece from Oswestry/Wales on Oi! Records. Complete Control were Lacoste (vocals), Brian (guitars), Roger (bass) and Ralph (drums) and the guys managed to be noted on the compilation This Is Oi! 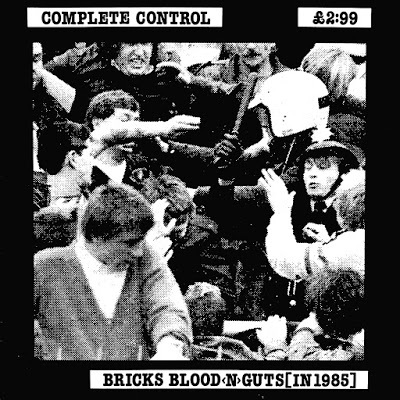 (A Streetpunk Compilation) from 1986 which included two live tracks. Pretty rare slab, hard to get and if only for a lot of money (some offers are extremely exaggerated)… anyway, that’s what I’m here for to bring you ten classic Oisters in your home. And now: Euro-League!